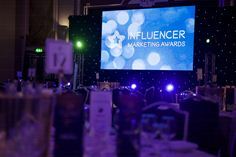 Wednesday 27th March 2019: The Influencer Marketing Awards, championing the very best influencer marketing campaigns of the last year, has announced its winners in London. With senior representatives from the industry's leading agencies, brands, influencers and technologies in attendance at the Sheraton Grand, the winners of all 24 categories were celebrated on Tuesday night; with the Grand Prix award being awarded to MSL UK & Renault’s year-long ‘#BehindCarDoors’ campaign. As a global awards ceremony with no borders, the Influencer Marketing Awards celebrate the very best in Influencer Marketing across all sectors, including Food & Drink, Travel, Family & Parenting, Home & Garden, Telecoms, Sport & Fitness, Fashion & Style, Health and Beauty. Not only does it look to celebrate individual campaigns, but also the technology behind them, the use of data, partnerships, rising stars and agencies themselves. It was a night to remember for both MSL UK and Ogilvy, who both left the ceremony having picked up three awards each. MSL’s ‘#BehindCarDoors’ campaign with Renault taking home Best Family & Parenting Campaign and Most Effective Collaboration or Partnership, as well as the eventual Grand Prix prize. Meanwhile, Ogilvy’s work with MediaCom for Boots Beauty Festival saw it awarded with the Best Beauty Campaign and Best Integrated Influencer Marketing Campaign (multi-channel), while its collaboration with SKODA UK won Best Sport & Fitness Campaign for its ‘ThisIsOurTime’ campaign. Founder of the Influencer Marketing Awards, Matthew Wood, said: “The Influencer Marketing Awards ceremony demonstrates just how effective the influencer generation can be within the marketing mix, despite often finding itself under scrutiny. When combined with the brilliant work of agencies such as last night’s winners, Influencer Marketing is proving to be an incredibly useful tool in creating emotive and thought-provoking integrated campaigns - and these awards have proven exactly that.” The full list of winners can be found in the Book of the Night here: https://influencermarketingawards.com/2019/winners/. Elsewhere, Eindhoven 365 won Best Travel Campaign and Best Creative Influencer Marketing Campaign with its ‘AnOther City Trip’ campaign, and Traackr was awarded Best Influencer Discovery Tool and Best Campaign Planning & Management Tool. The winners of the awards, as well as the marketing industry elite, will also be attending the Influencer Marketing Show in October, where the intricacies of planning and executing a smart influencer marketing campaign will be discussed in detail. “I would like to say a huge congratulations to all of our finalists and winners on the night, and we look forward to welcoming you all at the Influencer Marketing Show in October,” Wood continued. For the full list of winners on the night, download the official Book of Night here: https://influencermarketingawards.com/2019/winners/. The Influencer Marketing Awards (IMAs) mission is to place a spotlight on the very best influencer marketing campaigns designed and developed with the brand or client in mind which are smartly executed, creative and innovative with clear transparent KPIs and objectives. Visit https://influencermarketingawards.com/2019/ for more information.